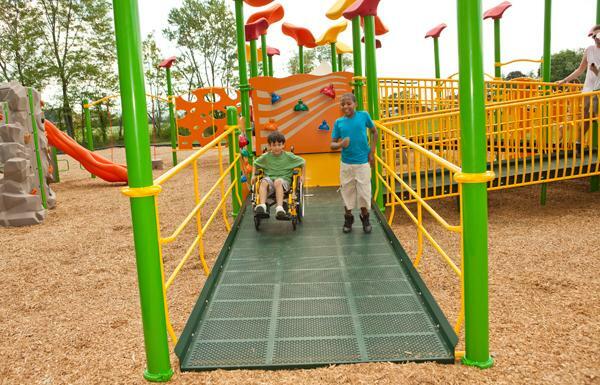 The Americans with Disabilities Act protects the rights of individuals with disabilities and serves as the standard by which play areas must abide. 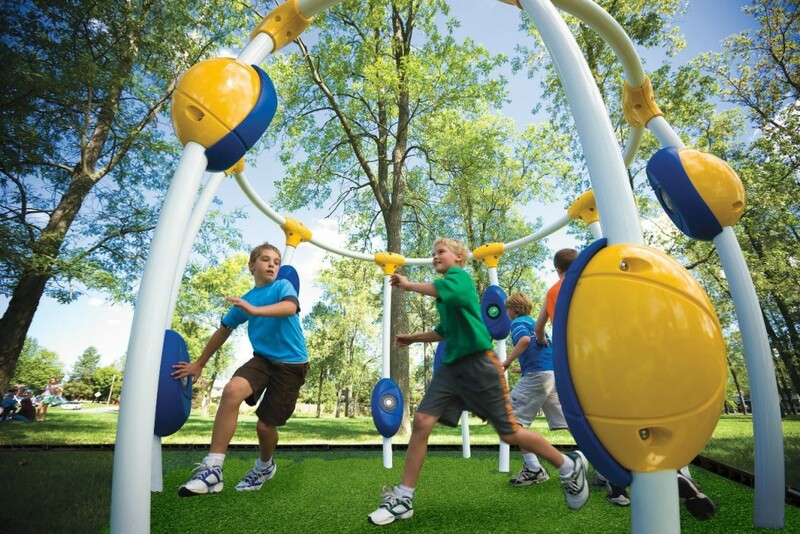 As the leading designer and manufacturer of playground equipment for children and caregivers with disabilities, Playworld incorporates thoughtful inspiration into each and every outdoor play environment we build. Explore our playgrounds for all children, and find out how Playworld can bring your community together with inspired, inclusive play. 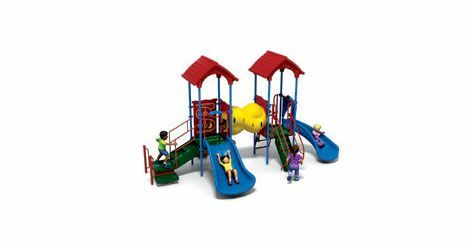 Playworld partners with child development experts to build playgrounds and fitness structures that both inspire and educate people of all ages and abilities. 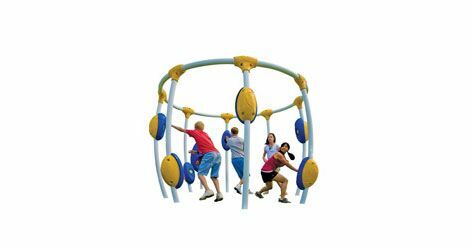 Our play environments provide ample opportunity for physical, social and sensory development for both children with developmental disabilities, as well as children who develop typically. We design our structures so that those who use wheelchairs and other medical equipment can safely and easily navigate through our designs. Caregivers with disabilities will find playtime much easier — and more fun — too. If you’re not sure where to begin, explore our Inclusive Play Design Guide and learn about Play Richness, the philosophy that guides us in every structure we create. 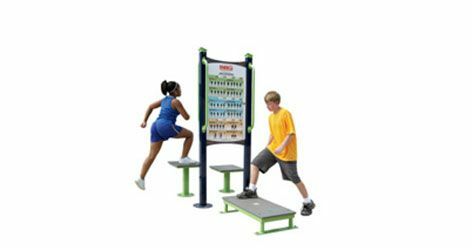 We’re the first and only playground manufacturer to create and build an outdoor electronic playground, which combines the speed and action of video games with the explosive movement of aerobic exercise. Playgrounds incorporate both co-located and contiguous play areas so that children of differing abilities can engage with or alongside each other. Every structure features a raised area, because children enjoy the sense of accomplishment that provides, and areas that stimulate loud, active play are located away from quieter areas. 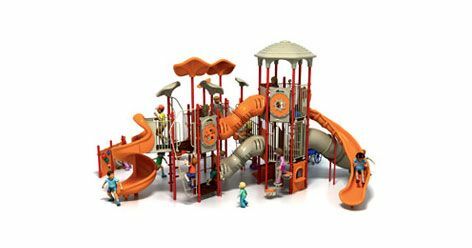 For more than 40 years, our family-owned and operated business has designed and built the highest quality playgrounds in the industry. 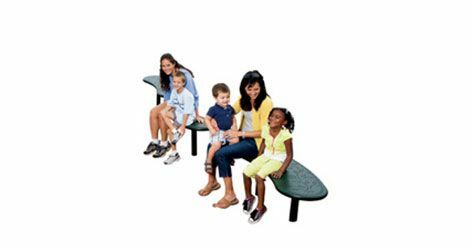 We take the business of play seriously — and you can see our commitment to incredible craftsmanship at the schools, in the parks and on the playgrounds we furnish. We also use the most durable, Earth-friendly materials available, because we believe that the legacy of play shouldn’t damage the planet for future generations. Explore our Design Guide or contact Playworld and find out how we can help you build a play environment for people of all ages and abilities.